Enamel Moroccan tagine from Marrakesh in Morocco. Not use for cooking. 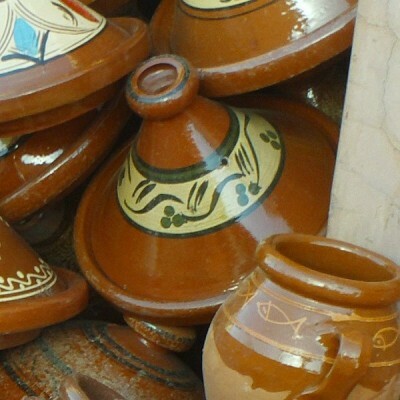 This traditional hand made ceramic Tagine is used to serve Spicy Chicken Tagine or other Good spicy tajine recipes with a Moroccan Peppermint Tea. Get it at Home !